Most of the time, cats are sweet and playful, but occasionally their mischievous side comes out and they climb onto counters, get into your plants and knock things onto the floor—it’s all part of their charm. When cats knock things over or chew them to shreds, it’s usually not because they are trying to be a pain— they’re actually just practicing their hunting skills. 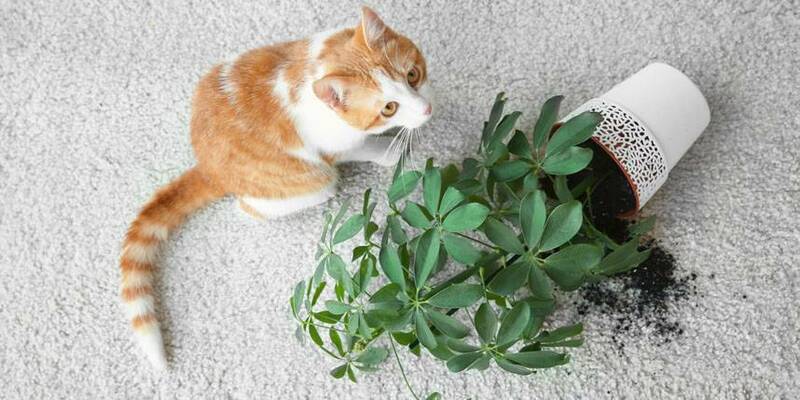 Cats often “toy” with their prey, so using their paws to nudge that potted plant off the counter is actually their way of keeping their hunting skills sharp. 1. Place rocks over the dirt. 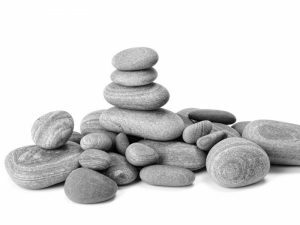 Covering the dirt around your plant with rocks will keep your cat from digging, while also allowing water to pass between the rocks so the plants can be watered more easily. 2. 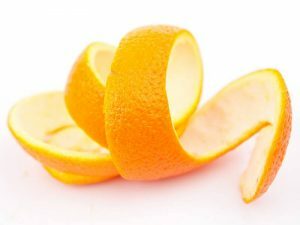 Place orange peels around them. Cats tend to dislike the smell of citrus, so placing orange peels in a circle around your plants can form a nice barrier to keep your kitty at a distance. 3. Get a plant your cat won’t like. 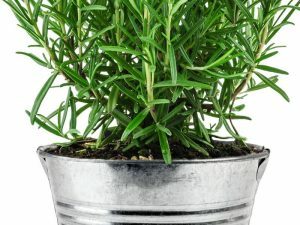 Rosemary is a highly aromatic plant, which means cats tend not to like it. Plus, they are beautiful and will keep your house smelling great! 4. Get a plant your cat will love! 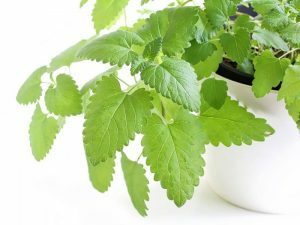 By the opposite token, you could also invest in plants like barley or catnip that your cat will love to snack on, instead of getting other plants that could be toxic to them. Some cats also enjoy mint and sesame. 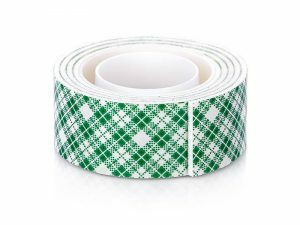 Cats tend to dislike sticky substances, so wrapping a layer of double-stick tape around the mouth of each plant’s pot will help to keep their paws away. 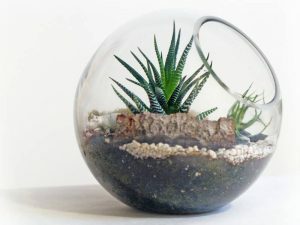 If all else fails, you can always create barriers around your plants with chicken wire, or use plants in terrariums that your cat can’t get into. A great way to curb this behavior is to provide them with plenty of toys to distract them. Setting up fishing pole toys that hang off a counter for them to amuse themselves with could keep them from getting their claws into something you care about. Though most cats are indifferent to houseplants, there’s always a few who can’t keep their paws off those stems, stalks and leaves. It’s also important to make sure that none of the plants in your house are poisonous to cats. 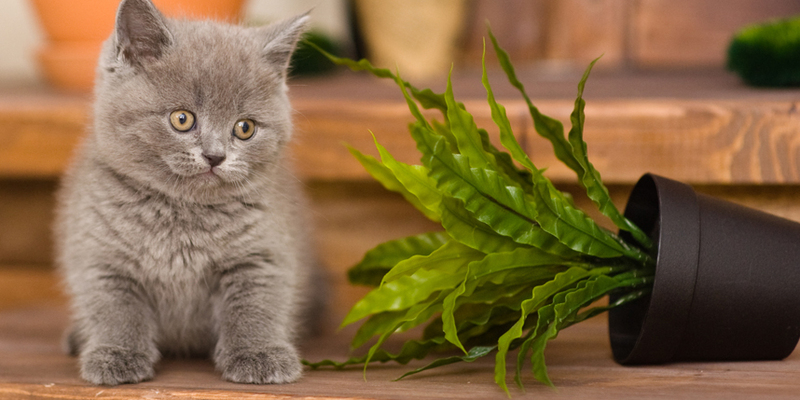 Some common plants that are poisonous to cats include lilies, tulips, English ivy, oleander and azaleas. 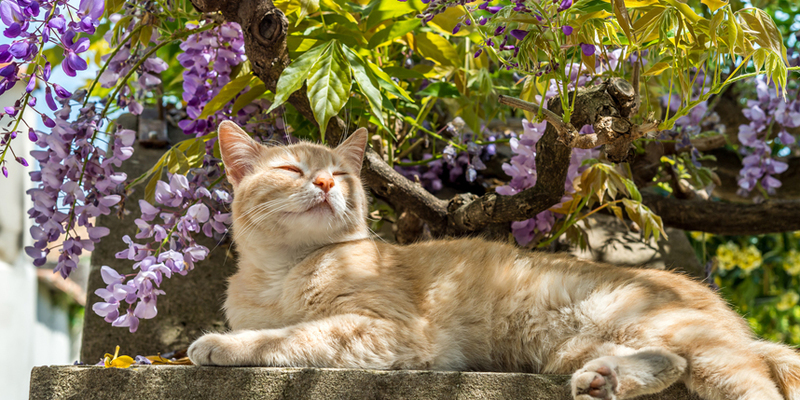 To learn more about which plants are safe for your felines, and get some helpful gardening tips in time for spring – check out our Spring Gardening Tips blog! 12 helpful tips to create a safe environment and kitten proof your home, so your cat can roam free without causing you to worry! Looking for ways to entertain your cat while you're away? 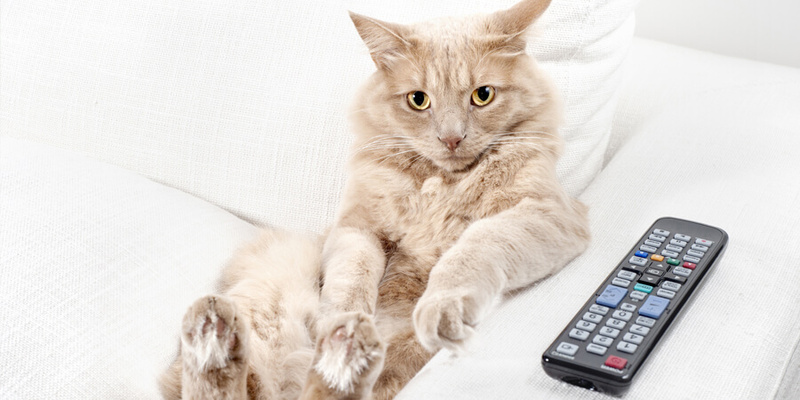 Here are 5 fun ways to keep your cat entertained while you're not home.